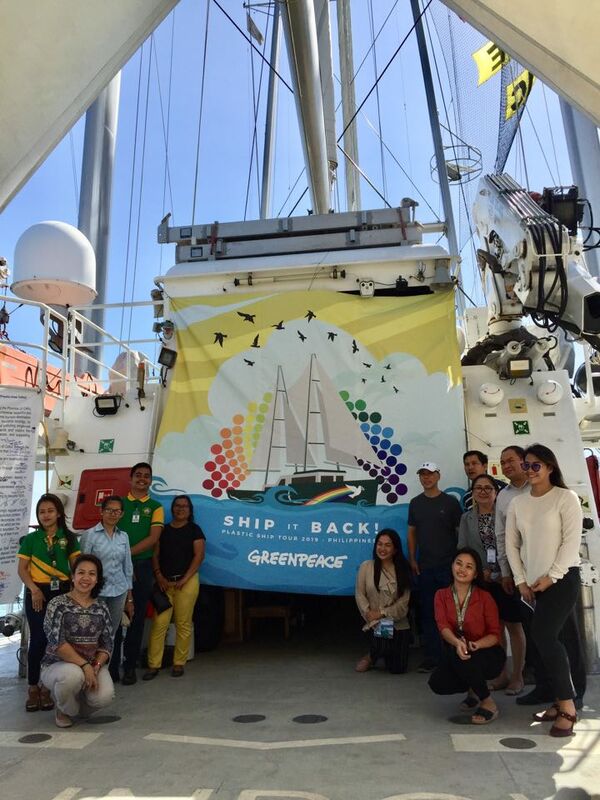 CEBU CITY — To increase the demand to stop single-use plastic, Greenpeace brought environmental speakers as well as the crew of their Rainbow Warrior ship to share to the academic community of the University of San Jose-Recoletos the horrid impact of plastic on the planet. Greenpeace campaigner Abigail Aguilar shared that recycling is not enough. She quoted a study stating that only 9% of the manufactured plastic in the world can be recycled. Furthermore, she clarified that it can barely be called recycling as it would mean remaking the product to its original purpose. What happens, she said, is down-cycling or turning a recyclable plastic waste into something of a lower value. “The problem are the consumers but companies are also accountable,” she said. Mainstreaming of segregation systems is one of the ways that institutions and homes may adopt to help. 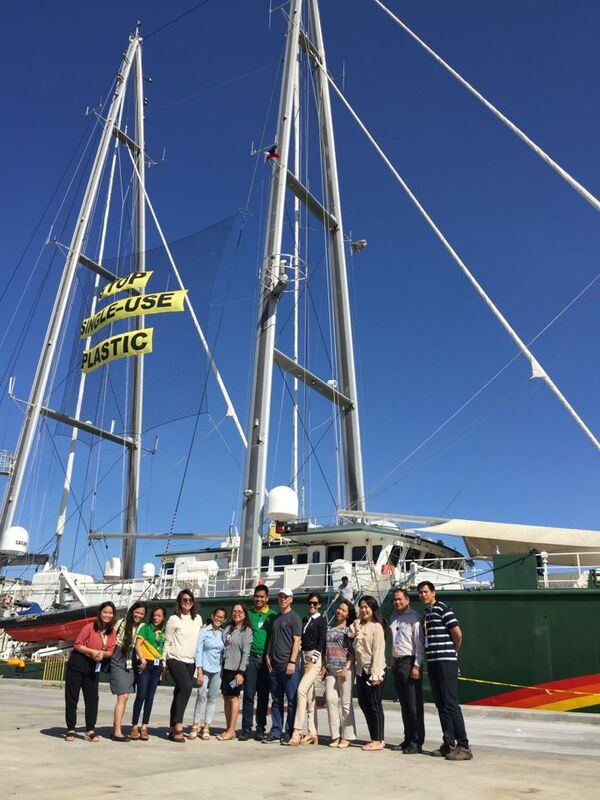 Aguilar added that pushing for zero-waste communities is one of the long-term solutions which can be done. To achieve it, both national and local legislation is needed to restrict single-use plastic. “We are already unable to cope with the amount of plastic waste we generate, unless we rethink the way we manufacture, use and manage plastics. Ultimately, tackling one of the biggest environmental scourges of our time will require governments to regulate, businesses to innovate and individuals to act,” stated in a United Nations report. 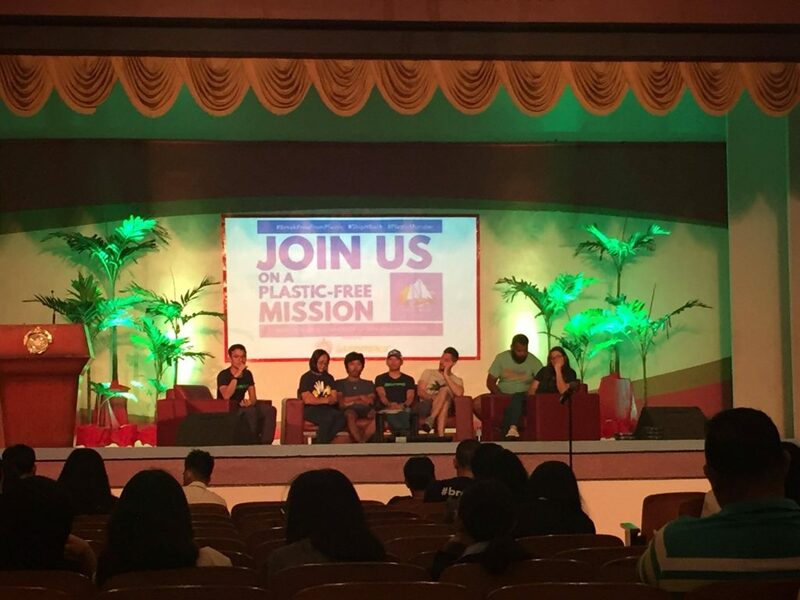 Beau Baconguis of Break Free from Plastic Movement shared that there is also a need for the general public to show to both the government and companies that the demand to stop single-use plastic has increased. “We need to change how we use and see plastic,” he said. Tony Galon of 5 pcs Daily Habit revealed to the audience that the Philippines is the third largest contributor of ocean plastic in the whole world. He encouraged the Josenians to take their own countermeasures as not to further pollute the planet. Throwing one’s garbage in the proper bins and picking up at least five pieces of random garbage which comes along one way can be a start of a good pro-Earth habit. “Plastic is already here. What we can do now is to stop or at least minimize it for the future,” he stressed. 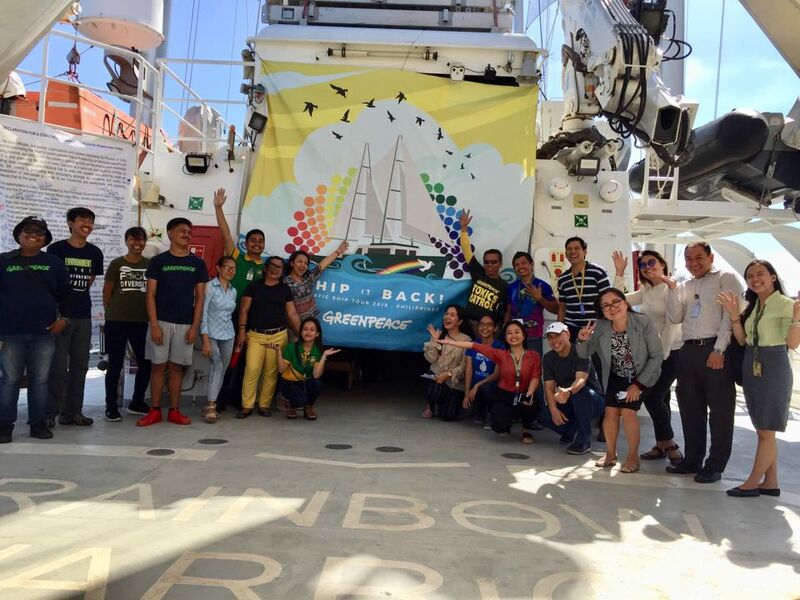 Single-use plastics has been the go-to wrapper of the Filipinos. He encouraged the participants to instead use of alternative products which may be reused or at least biodegradable. In the Greenpeace presentation, a single-use plastic takes about 500-800 years before it biodegrades. 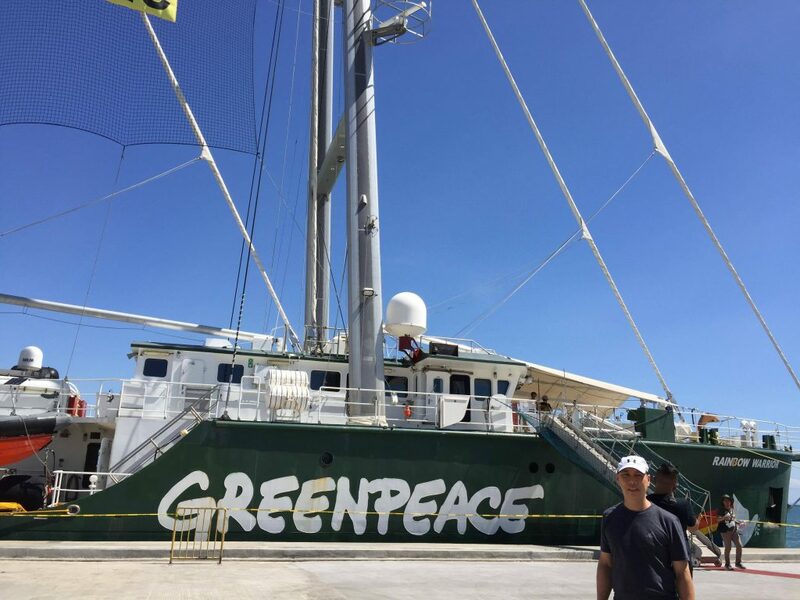 To address the issue, the said environment group has partnered with the university’s Institute for Non-Formal Education and Community Outreach Program (INFECOP) to gather students and attend Greenpeace’ “Ship It Back: Campus Tour”. It is a forum which highlighted the impact of single-use plastics. The forum was primarily participated by senior high school students at the Center for the Performing Arts on March 14. 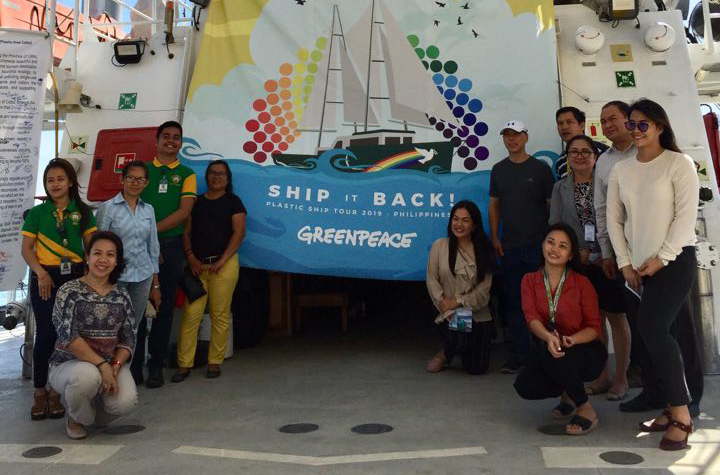 Aside from the forum, Greenpeace also toured some Josenians to their Rainbow Warrior Ship. It is the world’s largest ship which primarily depends on wind power in order to sail. 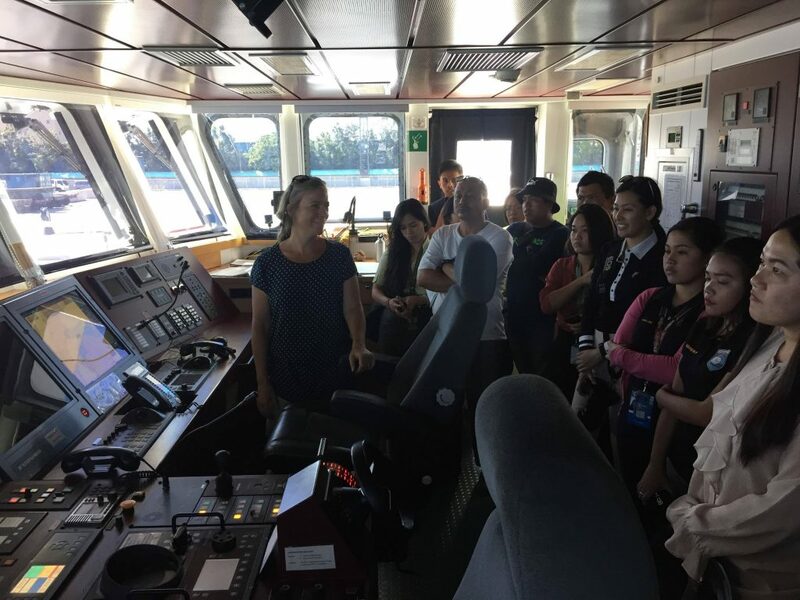 It is considered as one of the world’s greenest ships. 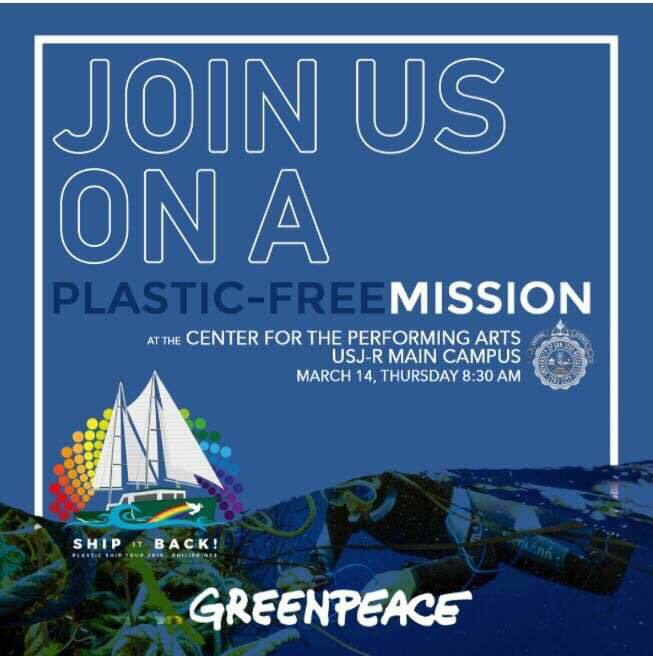 This news article was originally published in www.usjr.edu.ph with the title “Greenpeace calls on Josenians to increase demand to stop single-use plastic” written by Lorraine Mitzi A. Ambrad.